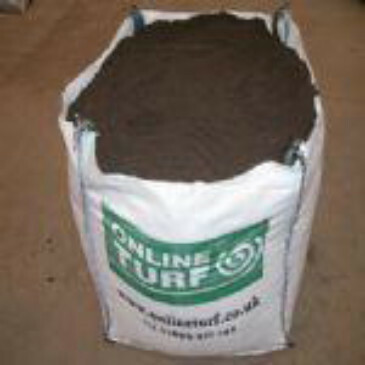 We supply the highest quality garden compost with a fast delivery service across the UK. We have a consistent and personal service to many thousands of satisfied domestic customers who use our compost products as soil improvers in borders and gardens. Buy compost online to make the most of our special online discounts. Our premium, peat-free compost is sold in bulk bags (approximately 1 metre cube) and is made from naturally composted forestry and botanical cuttings. This organic compost contains essential plant nutrients in a slow-releasing form. Not only will the compost feed your plants, it will also improve root establishment and soil structure, as well as lock in moisture around plant roots. The compost is perfect for planting out trees and shrubs and will improve the poorest of soil conditions. This product is manufactured from naturally composted forestry and botanical cuttings. It has a natural pH range from 6.5 to 7.5. All of our compost products have been analysed in line with the British Standard PAS100 regulations. Click here for more information on peat-free compost, how the compost is made and its uses. Alternatively you can register with us for full access to a range of ‘how to’ guides and information downloads. If you have any questions at any stage, please use our contact page, email or telephone us on 01695 425035 (fax 01695 424251). We will be delighted to help you.